The only way to disable autofill is site by site, and then only by removing the keychain entry. You might also note that you have to check a “keep me logged in” or “remember my username” box on sites that offer it before selecting the Safari-stored login. In the past, you could select it, then check a box. Now, you have to check the box first. You can remove an entry in Safari for macOS via Safari > Preferences > Passwords. 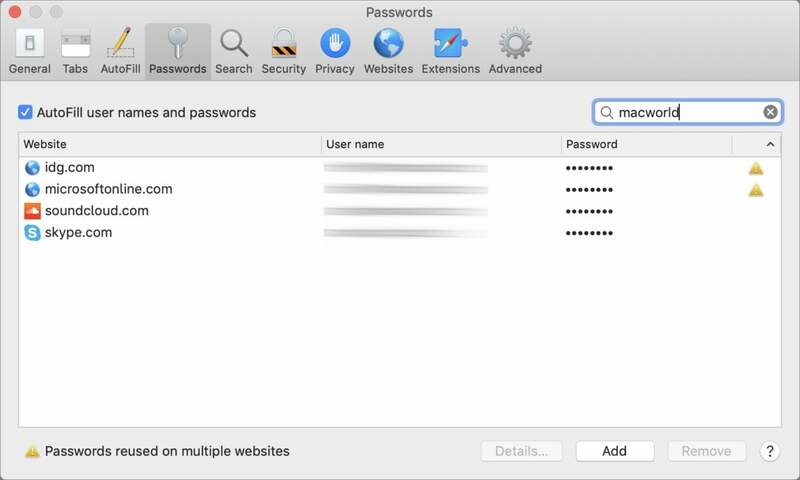 Enter your macOS account password, then type in the name of a site you want to remove in the search field. Select one or more entries, click the Remove button, and then confirm the removal. Not all sites respond as 1Password expects. We can see this with Safari autosubmit as well. That means you have to fiddle around more to login. On a couple of sites I routinely use, the new autosubmit process typically fails. I wind up switching to 1Password for the login. Apple removed a mechanism AgileBits relied on to submit, because it could be abused by scripts on pages, resulting in the potential leakage of personal information. The blog entry noted, “As yet another step towards a more secure environment, apps that can virtually type the ‘Return’ key on the keyboard have been significantly restricted.” Apple trusts itself more than everyone else, because it controls the browser and experience, but it seems like it may be leaving users open to higher risks. Apple often adds nuance to new features later, and it’s possible it would add a per-site option in Preferences > Websites, as it has with other feature, or provide a global on/off switch for autosubmit.